Excess water and moisture in any form can cause a number of problems when it penetrates your property. It can result in damaged structural materials, furnishings, and belongings, and even lead to mold growth. 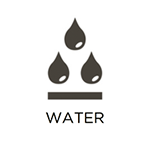 At RestorationMaster, we offer full water damage restoration services to address all aspects of water damage. We remove excess water and moisture and restore affected areas and belongings. We are proud to assist property owners in the Beachwood, OH, area. 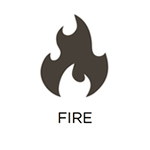 If you ever experience a fire on your property, it is important to first ensure the safety of all individuals on the property and contact your local fire department. You should then contact our RestorationMaster representatives for our fire damage restoration services. We address all aspects of fire recovery to get you back on your feet. This includes fire damage, smoke and soot damage, and even water damage (from fighting the fire). We are proud to offer these 24/7 services to those in need in Beachwood, OH. When heavy winds, severe storms, blizzards, hail, and other extreme weather events strike your property in Beachwood, OH, it is important to repair any damage as soon as possible. 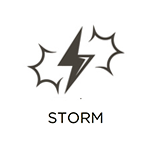 At RestorationMaster, we offer 24/7 storm damage restoration services to do just that. Our technicians will repair damaged roofing, siding, windows, and more to prevent outside elements from penetrating your property. No matter the extent of the damage, we will return your building to a safe and secure condition. 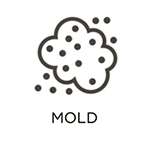 It is not difficult to inadvertently create the right conditions for mold growth on your property. This is because all mold needs in order to grow is an organic food source and excess moisture. If you live in Beachwood, OH, and notice mold on your property, we encourage you to take advantage of our mold removal services. Our RestorationMaster technicians have the equipment and knowledge necessary to remove all traces of mold and restore affected areas and belongings. At RestorationMaster, we offer trauma and crime scene cleaning services to property owners in Beachwood, OH, for when severe accidents or crimes occur on your property. We do this because law enforcement personnel and EMTs are not trained to remove dangerous biohazard materials from your property or restore damaged areas. We do both of these things and more in a safe, efficient, and effective manner. Our technicians will fully respect your privacy during cleaning and restoration efforts. 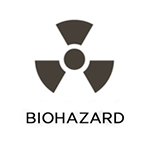 Biohazard materials include substances that can spread infections and diseases when mishandled. A few examples include sewage, bodily tissues and fluids, and certain chemicals. If you find any harmful substances on your property, we will remove them with our biohazard cleaning services. Our RestorationMaster representatives are trained and certified to properly and safely eliminate biohazard materials from your property and decontaminate affected areas. We offer these services to property owners in Beachwood, OH. At RestorationMaster, we offer complete commercial restoration services to property owners in need of assistance in Beachwood, OH. No matter the cause or scale of the damage, we have the resources and expertise required to ensure an optimal result. Our personnel will operate swiftly and effectively to minimize the time spent on recovery efforts. We understand that each day spent recovering is another day of potential revenue lost. We regularly assist commercial property owners following fires, floods, severe mold growth, and other events.